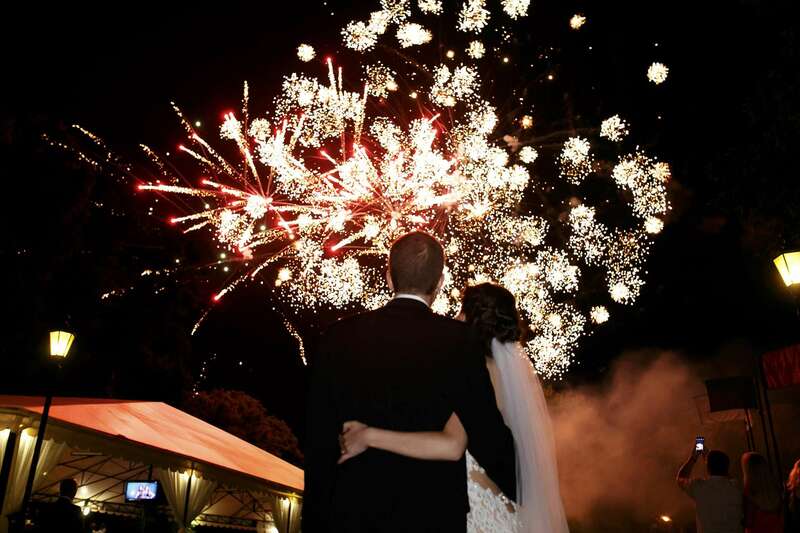 Fireworks for weddings – we are now selling fireworks for weddings all year round! Add an extra special touch to your big day with a fireworks show that will impress and entertain your guests. We have a wide range of fireworks for sale so you can really put on a show without breaking the bank. Our single ignition fireworks are perfect for a busy day. The impressive Fireworks Show at £300 is ideal as there is only one fuse to light (which anyone can do) and it runs for 4 minutes with over 200 shots! With such a large amount of fireworks for sale it can be confusing. Don’t worry – give us a call or send us an email and we will be happy to offer you the benefit of our experience in choosing a selection of fireworks to suit your venue and budget. All our items are available for collection from our Nottinghamshire Fireworks Outlet in Shirebrook near Mansfield.